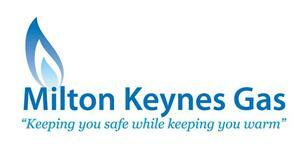 Milton Keynes Gas - Bathrooms, Central Heating Engineer, Kitchens, Plumber based in Shenley Church End, Buckinghamshire. Hi, I am Chris Gillam and I am your Milton Keynes Plumber. I have been in the business for over 20 years now and have a wealth of priceless experience in all areas of plumbing, central heating and gas appliances to call on. Over the years I have worked for most of the big boys in the industry and have brought to my business all of the good stuff that they offer and improved upon it wherever possible. I take pride in my work and aim to get the job done with as little fuss as possible. I promise to turn up on time looking smart and ready to do the job and while I am at it I will respect your home and promise to leave it as tidy as when I arrived. I love small jobs like a dripping tap as much as bigger jobs like central heating installations or bathroom refurbs.